Verina Wild works in the area of bioethics, public health ethics and global health ethics, with a special focus on vulnerability, justice and population health. She has been lead investigator in various projects on migrant health, and in projects on cosmetic genital surgery (hymen reconstruction). Other projects she has investigated on or is still involved in are related to humanitarian aid, complex global challenges, methods of ethical decision making, pregnancy, research ethics, hospital reimbursement. Her current research focus is on ethical, legal and social aspects of mobile health technologies. PD Dr. Verina Wild is deputy director at the Institute of Ethics, History and Theory of Medicine at Ludwig-Maximilians-University of Munich (LMU). 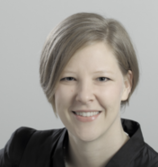 Since April 2018 she has been leading the BMBF research group „META - mHealth: Ethical, legal and social aspects in the technological age“. She teaches medical ethics, public health ethics and global health ethics at the Universities in Munich, Zurich and Bern. She wrote her "Habilitation" with the title "Justice and Vulnerability in Bioethics" at the University of Zurich where she has held a position of a Senior Teaching and Research Associate and Deputy Director (intermittently) from 2008-2016 at the Institute of Biomedical Ethics and History of Medicine. Her medical dissertation was on ethical aspects of clinical drug trials during pregnancy and is published at the publishing house Campus. Prior to becoming a scholar in health ethics she has worked as a physician in internal medicine in Berlin, Germany and gathered work experience in Tanzania, Scotland, Spain and Argentina.